1. 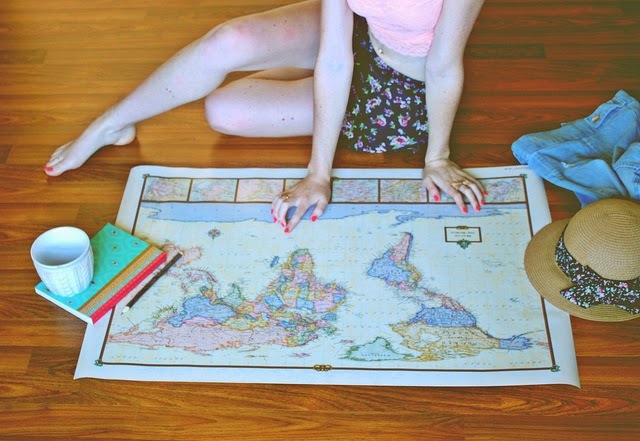 A strong desire to travel. I woke up this morning overcome by a bad case of wanderlust. On a daily basis I’m tempted to call an airport shuttle, head off to Cape Town International Airport and jet off to the Maldives, Zanzibar, or even more adventurous, Mallorca! However, real life takes precedence over fantasies of white sandy beaches and instead I’m sitting at my desk writing this article. I’m daydreaming about sunbathing on a tropical island, horseback riding through a forest and sipping cocktails with my toes in the sand. It’s not easy to overcome wanderlust, but a busy inbox and to-do list manages to distract my wandering mind sufficiently to get through the day relatively easy. I will keep myself occupied in the meantime, until the time comes when I can hop on that plane and go seek my heart’s desires. This weekend my partner and I decided to do some restaurant-hopping and for the umpteenth time we ended up at Belthazar in the V & A Waterfront. 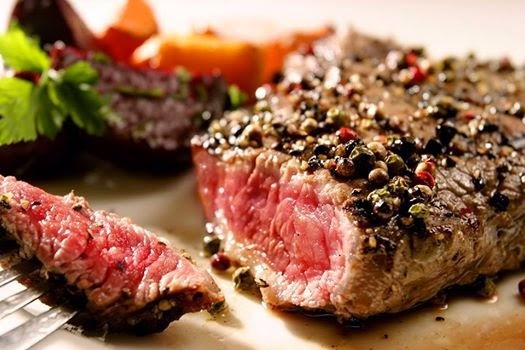 I’m not quite sure what it is, but there’s something besides the mouth-watering world-class steak that makes you want to go back there time and time again. 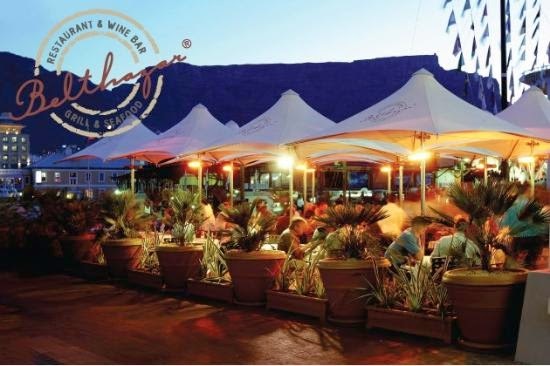 The atmosphere is somewhere between casual & relaxed and fine dining – no stuffy, nose-in-the-air vibes. However, out of respect for your fellow patrons, don’t show up in your rugby shorts and tekkies or flip-flops. The food is so good it deserves to be eaten by a stylish individual. My partner had the peppercorn crusted rib eye steak (400g of course) and I had the beef ribs (a whopping 700g). Grilled perfectly medium-rare he savoured every bite with the occasional “hmm” in between mouthfuls. The sticky beef ribs were something else, the only beef ribs I’ve ever had were dry and more bony than meaty, but these were a treat! Juicy, succulent and meaty – it’s worth the mess! Unfortunately I can’t offer you my expertise on their impressive selection of wines, mainly because I have no expertise. I'm not really a wine drinker and prefer a glass of sparkling mineral water or champagne with a meal. However, if you love your vino, I’m sure they have something that would appeal to you. I've been to my fair share of steakhouses in and around Cape Town, but none of them came even close to Belthazar. The waiters are eager to tell you why their meat is a cut above the rest. Their meat is hung on the carcass for 3 days and then they “wet-age” the Fillet, Sirloin and Rump cuts. The T-bones are “dry-aged” for a minimum of 28 days. This place is truly the meat-lovers’ paradise. Whether you’re local or travelling to Cape Town, these guys deserve a visit. Price range: It’s not the cheapest out there, but once you’ve had one of their meals you will come running back for more! I'll definitely go back (like I do almost every weekend!). So now that you've got your dining sorted, you still need a place to stay. Have a look at our accommodation review of 808 Cartwright, just a short while away from the Waterfront. Imagine having a date 37 000 feet in the air. Imagine having a romantic, candlelit three-course dinner with your partner or significant other…in the sky. 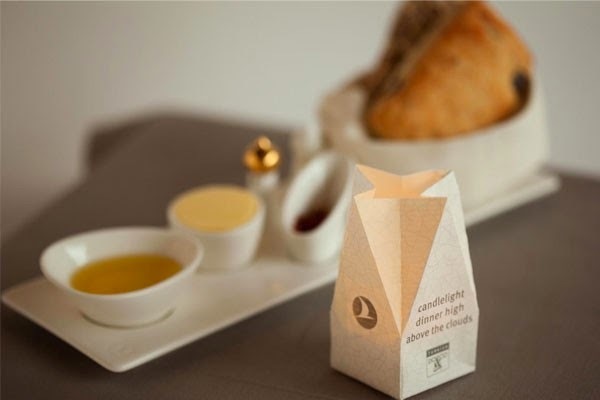 Now you can - if you fly Business Class with Turkish Airlines. 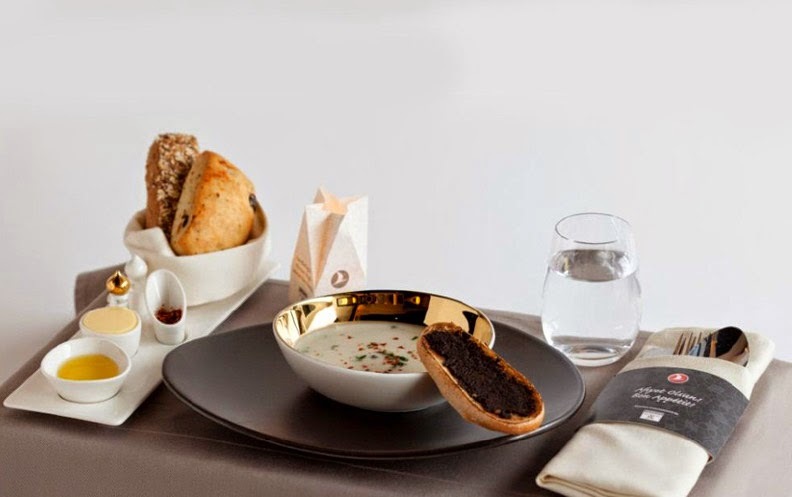 This new catering concept is the airline’s latest business class offering to enhance the satisfaction of its already satisfied passengers even further. The idea behind this concept was to recreate the romantic ambience one would find a fine-dining restaurant – complete with flying chefs. The airline has already earned its bragging rights by winning Skytrax rewards for “World’s Best Economy Class On-board Catering” in 2011 and “Best Business Class Catering” in 2013, talk about raising the bar! We certainly hope that other airlines will follow suit, especially in South Africa. Please, we want romantic dates in the sky!! Durban – the next New7Wonders City? We all love Durbs – it’s warm, fun and exciting and you’ll never run out of things to do! To prove how awesome the city really is, check out the latest news headlines: Durban made the shortlist for the New 7Wonders Campaign – the same campaign responsible for Table Mountain being named New 7Wonders of Nature. Competing with cities to the likes of Bangkok, London, Saint Petersburg, Kuala Lumpur and Barcelona, Durbs is playing with the big boys now! The 7 official New7Wonders Cities will be announced on 7 December 2014 so, needless to say, the city will be upping their game and providing even more awesomeness to draw more tourists. Durban is a city where they work hard and play hard; and it has much more on offer than only uShaka Marine World and the famous Rikshaws. You are truly spoiled for choice when it comes to leisure, nightlife, shopping and not to mention the divine culinary wonders to be found around every corner! The 35th Durban International Film Festival (DIFF) is happening from 17 to 27 July 2014 with over 250 screenings of cutting-edge cinema from around the world with a special focus on films from South Africa and Africa. This is the largest South African film festival and also presents screenings in township areas where cinemas are non-existent. One of the signature events on the Durban calendar, the 2014 Durban International Boat and Lifestyle Show is a must for all you boat lovers out there. It takes place on and around the water at the Durban Marina. Whatever you’re into: little dinghies, speed boats, yachts, luxury catamarans, fishing boats, the Boat and Lifestyle Show is sure to have something that will tickle your fancy. For those more comfortable with their feet on solid Mother Earth, the Lifestyle section offers the very best of off-road vehicles, caravans, trailers and whatever else that might appeal to your inner adventurer. UIA2014 World Congress in South Africa - 25th World Congress on Architecture, 3 - 7 August, Durban 2014. UIA 2014 will bring architects from around the world to debate their common concerns and interests. 2014 acknowledges the link between urgent human need for housing, infrastructure, basic services, employment and social development are acknowledged as being strongly linked to political decisions and economies. UIA 2014 is an opportunity for African architects to make their mark in the debate that perceives poverty eradication as a first unavoidable step in human progress. 2014 will explore how architects might play a pivotal role in addressing social inequalities. This blog was produced on behalf of Airport Shuttle Cape Town. No, I have not lost my mind. I’m not asking anyone to go walk over snakes of any kind. The Boomslang is the stunning new tree canopy walkway at Kirstenbosch. Hidden away among the trees in the heart of the Arboretum, the Boomslang is worth the search! Walking up the curving bridge truly feels like strolling in an Enchanted Forest with the canopy of leaves overhead. The view walking up the walkway is spectacular… mesmerising to say the least. What could possibly be more fun than a 130-metre walkway, with a peak at 12 metres, slithering over and around the treetops? What makes this aptly named treetop walkway even more perfect is the fact that it’s nestled in one of the least visited parts of the botanical gardens. People mostly follow the wider and more popular paths, skipping past the more dense and 'foresty' parts, so this part of the garden is relatively quiet and tranquil. The Boomslang is now open to the public and has already had a few visitors. The best part is, it’s wheelchair friendly and it’s free! All you have to pay is your admission the garden (as usual). For more info on the boomslang and entrance to the garden, visit their website. Next time you visit the Castle of Good Hope, go for the tunnel tour that’ll take you below the surface of the Mother City centre. Good Hope Adventures organises expeditions into the long-abandoned canal system, which channels fresh, running water from Table Mountain underneath the City Bowl, and out into the sea. Though it sounds a bit unpleasant, I can assure you the storm water mixed with the mountain stream in the tunnel is clean and odourless – bring those Wellies if you don’t fancy wet feet! Wading through the ankle-deep water makes up part of the fun and remember to bring a torch to get the most out of your tunnel tour – don’t go on this tour if you faint at the sight of a cockroach – you are invading their home after all. For more info or to book a tunnel tour, visit the Good Hope Adventures website. Whether you’re a frequent traveller or planning your first trip, I can guarantee that you have left behind an essential item before or that you definitely will in the future. As random as it may seem, the bandanna is a jack of all trades in your backpack and it takes up virtually NO space! This nifty piece of cloth functions as a hand towel, camera lens cleaner, hair tie/headband, scarf, a quick emergency sling for an injured arm, bandage or you can tie some loose belongings up in it to carry around with ease. This is a handy tool to keep in your backpack, provided of course that you’re not planning on kidnapping anyone and holding them hostage – be prepared to explain your possession of duct tape to airport officials in the event that they do ask! A small roll is cheap and can fit in your suitcase or carry-on. Uses include: taping up a suitcase that exploded (from all the gifts you bought), patching up shoes when hiking/walking (also helps with waterproofing), fixing up your travel journal when the spine gets worn and you can remove lint from clothing. You will probably figure out additional uses as well as you go along. These are not only handy for babies and toddlers with sticky hands, they are also useful for public restrooms and other surfaces (buy the germ killing kind!). They also make fantastic face/neck wipes after a long flight or walking about sightseeing all day AND they make you feel all cool and fresh - like a mini bath in a packet. Travel bottles for toiletries etc. Being an essential item, I assume you have some of these already. For your next trip however, opt for the silicone bottles – they are soft and flexible, allowing you to use all of the gooey stuff inside without shaking and banging a bottle on the counter to get that last little drop of shampoo. They also last longer than their plastic cousins. These can be used as a replacement when a button or zip malfunctions, securing zippers on backpacks to keep those pesky pickpockets at bay and you can effortlessly tack up your pant legs when trudging through wet, muddy terrain. I’m not even going to explain this one because if I have to list all of the uses for ziplock bags, you’ll be reading this blog until next week this time! This blog was produced on behalf of http://www.airportshuttlecapetown.co.za.